The month of June ends tomorrow. Half of the year is gone into oblivion. Never again in the history of mankind will there be month of June 2017. We saw it come and we lived it through. We say thank you, Lord God, for everything! My friend, I wish that your year so far is peaceful. Peacefulness is a determinant of happiness. When your soul is at rest and your heart is glad and your spirit is satisfied and the joy of the Lord is your strength; therein lies a person at peace with self. The kind of peace which surpasses all understanding. Human mindset cannot decipher that peace. It’s a heart thing bestowed from the man upstairs. God. In all you do embrace peace. Do not make enemies for yourself. Make no enemies intentionally. Absolutely, do not set to make enemies. Should you find that you have offended anyone, or that someone has taken offense from your actions or reactions, make haste to fix that offense. Whether real or perceived by them, you take corrective actions. If someone feels that you have hurt them apologize to them. You may not believe that you’ve hurt them or done anything wrong, but if they feel your words or action inflicted pain and hurt feelings, you must say “I am sorry.” And be sincere. Fix it. Hurry up to make amends. Clear it all up. It's on you to fix it when others say you've hurt them. It's their feelings. Be sensitive for them. Those people who decide on being an enemy to you leave them alone. Let it be. You cannot force others to be at peace with you. Keep your heart pure. You do not have to remain buddies with untrustworthy people. But you do have to foster a peaceful atmosphere. 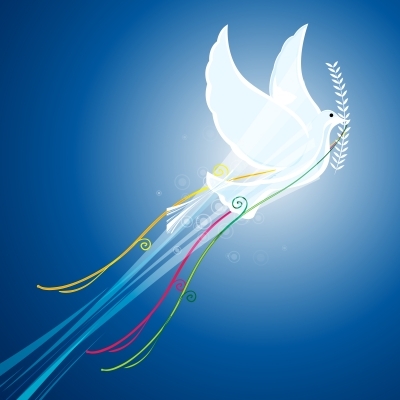 You must initiate and promote peace. Avoid conflict by saturating a fragrance of peace about you. You must not insist on befriending people who dislike you for their own reasons. Some people will not like you for nothing. No reason. Absolutely no reason at all. Some people will absolutely hate you just because you are you. Some people will hate you because people they love hate you. They are being loyal to their inner circle to the point of transferring bad emotions from their circle. Some people will determine to be your worst nightmare because of who they are. It is all on them. You just have to carry a pure heart and keep clean hands. Forgive all. Pray that the Lord would keep you from likewise being their enemy. Keep a smile on your face. A smile is disarming to the nastiest attacker. There is silent strength in your smile. Wear a smile on your sleeves. May your enemies never rise above you. Those who insist on being your enemies have decided their own role. Beneath you. The Bible says your enemy shall be a footstool for your feet. In other words, you will trample on and triumph above any enemy. Always. You will crush whatever your enemy has planned or has in store for you. That is God’s promise. God’s truth is transformative. Your enemies have chosen the role of being constantly beneath you. Should anyone offer himself/herself as a footstool for you, it’s on them. Receive the footstool. The point is not to make you haughty. The point is God has made you victorious over the evil intent of others for you. Rejoice at this point. It is up to you to live peaceably with all. In the coming day, months and years ahead strive to be at peace. As much as it is up to you. You cannot please everybody. Do not frustrate yourself trying. Simply do right by people. Do the right thing always. Be fair in your judgments. Do the right things every time. Right is right. Wrong is wrong. Uncompromisingly do the right thing all the time. Particularly, when human eyes are not present. Do right. Right done in the dark shines in the light. Right done in the light shines in the dark. Right done shines right through the black and white and gray areas of existence. Right is shiny. Right is a shiner. Right is always shining. Make it your business to please Almighty God. Spend every waking moment of your life striving to please the Lord. Do right by God. By following God’s commands and doing his will. Be pleasing in the eyes of Jesus Christ. Your peace and right they go together. When you please God, and continue to be the best you by the power of the Holy Spirit, even your enemies eventually would be at peace with you. That’s God’s promise. The heart of the enemy will change for their own good. The truth of God is everlasting. The Word of God outlasts life itself. Therein is your victory day after day. Your Mobile Device. Did you realize it is a set up? The thing is a wonderful setup by God. You see, Almighty God will stop at nothing to get your attention, just for your own good. And so, the Lord God released innovation to mankind for the invention of electronic gadgets. You see that smart phone, Tablet, iPad, iPhone, cell phone, mobile device; all those nifty power-packed handled devices we carry around twenty hours a day! It is not just for your easy convenience. It’s a subtle set up. God’s way of ensuring you have his commands and teachings on your person all twenty-four hours of each day every day. You didn’t realize you walk around with the Bible in your pocket and/or pocketbook? You think the Lord will leave you to ignore the Bible! And doom yourself? Never. Jesus Christ will not allow such evil ending to befall you. You know he’s about love—love for you—love wouldn’t let him do that. You will know truth and Truth will set your free. Truth is the Word of God. My friend, every technological advancement on earth is simply for the purpose of bringing heaven a little bit closer in mankind view. That gadget you carry around is to ensure you walk about protected and equipped with God’s word. Every time you pick it up to dial a number, text a message or write a comment, you open the possibility to feed on Truth. The Word. That same Word. You know what I mean… “In the beginning was the Word, and the Word was with God, and the Word was God.” John 1:1. Yes, that WORD! Word Jesus. Your gadget gives you access to be reminded of the Word. Continue to carry around your precious devices! Yeah. You are taking the Word of God with you into those so-called “prestigious” places. Into high level corporate board meetings. VIP events. Seminars and conferences. Corridors of power. Corporate. Executive establishments. Workplaces that ban talking about Jesus! There go the word welcomingly arriving in your pocket. They just know they’ve got tight control. Hahaha. That’s all right. Respect the house rules. They do allow freedom to search the internet. What are you waiting for. Search. For a Bible verse to suit the occasion. Cannot be caught praying in the workplace? Can’t have a Bible on your desk? Can’t even bow your head in peace? No problem. Impress them. Obey all the house rules. You’ve got your little device. Hold up your electronic attachment! Find Scripture to keep you company. Stay calm. Be submissive and loyal to the house rules. You do know one thing: you’ve got your little gadget. Small, handy and convenient to carry! Packed with power. On your person, day and night, 24 hours 7 days a week. House rules celebrate those folks who know how to work their gadget! Work it, “them” gadgets…work yours. Obey the house rules. Never forget Jesus Christ is triumphant Lord. God wins every round. Cooperate with corporate; they champion technological savvy. Learn your device well. And use it very well. The creature can never outsmart the Creator. God. One is mortal the other immortal. God. One is limited the other infinite. God. All that you would have life more abundant. The last time I checked Almighty God is omniscient. Nobody is wiser. Almighty God is omnipotent. When it comes down to the matter of your soul and equipping you for abundant life on earth and eternal life in heaven, Jehovah God will stop at nothing! Make use of your gadgets. This is called the “Information Age” right? Right! Right. If you haven’t yet, download one of the many Bible apps onto your gadget. Today. Now. Ultimately, that's why God gives mankind the knowledge and wisdom to invent things. That make your life complete. Things which uncomplicate your life. May I suggest you read Matthew 11:28-30. I have a feeling you could use a bit of assurance today. Promises of truth from The Word itself. You are smart enough to get it. Go do. Obey the "eternal house" rules. Do Jesus. Your living…do it for Christ. God bless you, my friend. You, digitally-sophisticated you! Happy Blessed Father's Day 2017. Real Men Love Jesus and follow the Lord’s way. For the many wonderful deeds you do every day of the year. For the sacrifices you make for your children. For the love you show your wives and daughters. For the reverence you give to the Lord Jesus. For making the effort to be the best man you could be. Here’s wishing all of you fathers, grandfathers, husbands, brothers, sons, uncles, cousins, friends and men of God a blessed HAPPY FATHER’S DAY. To all the awesome men, Fathers and husbands, sons and brothers, grandfathers and uncles, cousins and friends. Men everywhere! May your loved ones show you just how much you mean to them. Be celebrated and appreciated. *ESPECIALLY OUR HUSBANDS… the Awesome Men in Our Lives: Women everywhere are saying today, “We Love You.” Happy Father’s Day! We thank you for taking all our attitudes, PMS, crazy days, nagging, confusing crying, impossible demands, everything else, and some more issues. Thank you for the hurt head you always give us because of your regular hard head. Thank you for the pain you cause and those tears you often make us shed. Thank you for pampering us, especially when you have done your worst. Thank you for loving us and making us feel like there’s no one else in the world except us. Thank you for the times we find out that there are others in the world beside us. Thank you for trying hard to get it right, just because you want to make things right. Thank you for caring enough to say, “I’m sorry.” Thank you for not being too proud to fall down on your knees and beg us to spend the rest of our lives with you. Thank you for your heart which always gives us first place. Thank you for the manly sacrifices you make to make us comfortable and secure. Thank you for loving our children knowing they are what we live and could almost die for. Thank you for making us shine. We are women. We come from your rib. We don’t want your place. We just want our place standing beside you. In all the daily ups and downs, know this: You hold our hearts and we’ve got your backs. Happy Father’s Day Husband. From wives everywhere, we love and cherish you. PROPHETIC WORD. Thursday, February 26, 2015. BRAVE PROOF your life. It is quite easy to be sidelined by anxiety. Many people are being consumed by fear. Especially, in such times when evil appears to be on the rise in the world. There are more questions than answers it seem like. Do not allow yourself to be drenched in the perspiration of fear and trepidation. Never doubt the “deliverer power” of Almighty God. There is nothing, absolutely nothing—no foe nor forces, neither a power on earth nor under heaven—that God cannot deliver you from. God Almighty has tremendous, miraculous power to cover and shelter you from anything. God can shield you from everything. Almighty God has authority to speak your deliverance. The Lord God has absolute control of the events of earth. You can be certain God Almighty has not turned over the administration of earth to mankind. God is in control. A merciful, loving, kind, generous and faithful God remains very much in control. “And thus shall ye eat it; with your loins girded, your shoes on your feet, and your staff in your hand; and ye shall eat it in haste: it is Jehovah’s Passover For I will go through the land of Egypt in that night, and will smite all the first-born in the land of Egypt, both man and beast; and against all the gods of Egypt I will execute judgments: I am Jehovah. And the blood shall be to you for a token upon the houses where ye are: and when I see the blood, I will pass over you, and there shall no plague be upon you to destroy you, when I smite the land of Egypt.” (Exodus 12:11-13 Holy Bible ESV). My friend, do not exist in perpetual despair. Pay attention to God’s way. Trust in the mighty name of Jesus Christ. Believe and have confidence in the Lord. Jesus conquered death on the cross and arose from the grave, to give you winning power over all situations. The redemptive power of Christ brings calm and peace. The Lord alone is God. The one true living God alone is able to deliver you. Keep your focus on prayer and faith. The Lord God is enough. Jesus Christ is King of Kings and Lord of Lords. What can Christ not do! Guard your precious life. Guide your mind. Find peacefulness and be comforted in the teachings of Scripture. When you find your spirit being uneasy and troubled go to the Lord in prayer. When you are perplexed and need answers seek the Lord’s way in prayer. While you may exhibit intellect and ability, remember Jehovah God is Omniscient. Learn his way. The Lord’s wisdom is infinite. His love for you is ceaseless. You cannot stop Almighty God from loving you. Embrace the love of Christ. Open your heart to receive the gentleness, calming presence of the Holy Spirit. Make realistic decisions about your life based on what your needs are and your best interest. Never mind what others say and do. Only you can feel the depth of your anxiety and confusion. Reach out and grasp the hand the Lord is holding out for you. In his firm hand grip Jesus has got you fully covered. Life is in his grasp. Do not fret your life away. Free yourself from fear and find your faith place. However prodigal a child you may be, the Father is looking down the road and waiting to see you turn the corner. Your heavenly father will lovingly rush towards you. He will envelop you with his pure love. God’s love will built a hedge of protection around you. In Christ’s love you will find a secure haven. In the love God has for you there is peace. Do not live in fear. Choose to believe Jesus Christ and live in faith and freedom. The Word of God is ammunition for any raging battle in your life. Believe God’s Word. This good morning, I bless you with good wishes for your life. Someone called me recently for a heart to heart chat. I was startled to hear them say these words, “…I am so tired. I am just so tired of everything. My life is not making sense…What is there to live for again… I am tired asking God… I am tired of praying...”. I listened carefully to the distress in this person’s voice. I heard the darkness of their cry. Such kind of talk always make me sit upright and blow the whistle, for Jesus to send legions of angels to feed me with right words to reply with, quickly. We began the dialogue; it quickly launched into deep conversation. We prayed. We sang. We ended up having revival on the phone. The devil ceremoniously lost that round, quick. Something I rarely do is pray on the telephone. I do not attend prayer lines; I do not do prayer-line praying, period. I cannot connect in prayer with multiple people who I cannot all see at the same time, and are not standing face to face with me, in the same room. Before I agree in intercessory prayer with anyone, I have to be certain that your God is the same God as mine. My God is Almighty Jehovah God, Christ the Lord. I must know you are bowing down and saying “Amen” to Jesus Christ alone. I can only tell this if I know of your faith, and you, personally. I can only see someone’s hand clap if I’m in close proximity. Therefore, I remain very strict when it comes to connecting and agreeing in prayer through electronic means and any digital devices. I made an exception in this case because life was on the line. More importantly, the person had believed and relied on me as almost a desperate resort. Someone was at a critical place in their life. My reaction and counsel would be crucial in helping them escape that place. Both they and I must talk until they see how to and get pass the “I am tired of living” phase. We must watch, fight and pray together until they saw light. It happened. Thank God we got there. They got it. As a “servant” my responsibility is to serve God first; serve God’s people, next; and serve myself, last. I love it in that order. This Hortense here does not want any of the many titles assigned to ministry work. I just want to be here to serve. I want to be the help (maidservant, houseboy) for God and God’s people. Sometimes the servant just must ask questions. Just for clarity. Do not be offended, Boss, I know you’ve got it all under control. You may answer yourself in your privacy. Kindly allow me. May I send you to the Mount of Prayer. May I direct your gaze to the Throne of Almighty God. An intercessor of divine majesty is up there sitting at the right hand of God the Father. He was down here on this earth and he knows fully how life can get down here. Jesus Christ your personal person is a prayer away. Call his name. Find his address: it’s called Our Father In Heaven. Don’t wait for him to answer, instead start shouting “Hallowed be Thy Name…”. I am asking you to pray like your life depends on it. Believe that your life depends on you praying like it does. Your life depends on your prayers. In Jesus Name is all you need to regain the strength for living without you getting tired and depleted. If you are that tired, stop now and pray. Pray to Almighty God in the name of Jesus Christ. Pray for God to bless your life with strength for the life you are blessed to have. Pray my friend. You owe you another day of living large! Anointed Servant of the Living God. The unnecessary “gospel of hate” which is termed “Congau/Country divide” will not survive in Liberia. 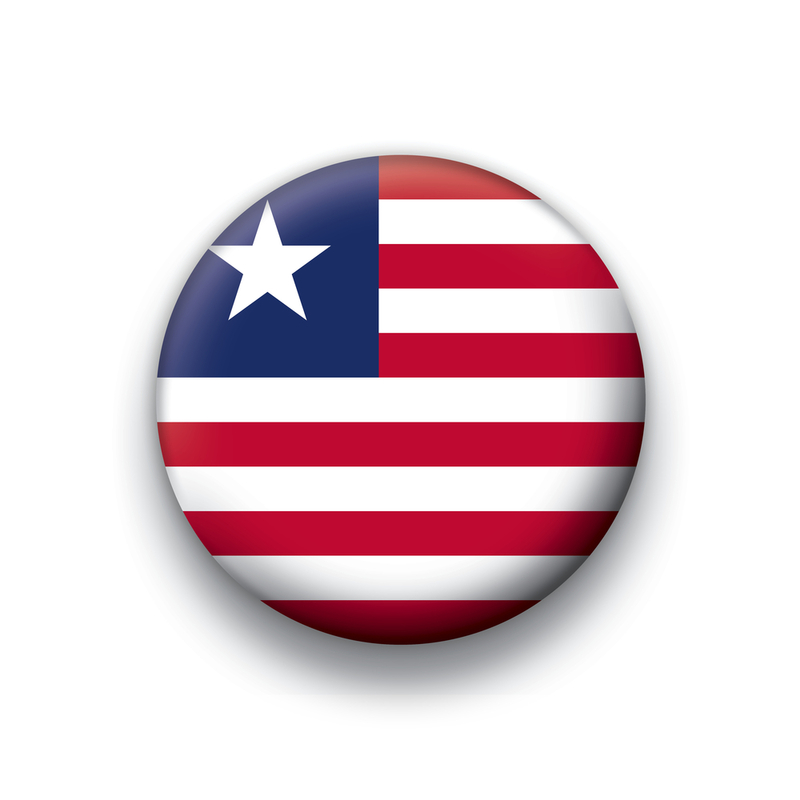 Hatred has done nothing for Liberia. Never mind that this hatred is constantly gift wrapped in beautiful packaging and presented to the vulnerable citizenry, it has no place in this country. Hate did not survive yesterday; neither will it survive today nor tomorrow. Seeds of hate will not germinate. Flowers of hate will not bloom. Plants and shrubs of hate will wither. Trees and greenery of hate will decay. Hate has done absolutely nothing for Liberia. Hate as a commodity must be rejected. Hatred has destroyed the real Liberia. Hate has caused us to lose our identity. Hate has stolen our culture. Hate ravished our generation. Hatred choked the life out of our way of life. Hate suffocated our lifestyle. Hate dimmed our national light. The Liberian way of living is almost forgotten. Liberia has become a melting pot of confused, missed identity. Hate has done absolutely nothing for Liberia. Hate as a national pastime must be rejected. No matter what fancy names are given to this ongoing wave of hatred, it will dismantle and deteriorate. Hate has placed Liberia permanently, it seem, at the bottom of the social ladder of nations. Hate has caused massive intellectual disability. In today Liberia, a staggering two-thirds of the population is illiterate. Hate has stenched our political atmosphere. Hate has polluted our landscape. Hate has dismantled our infrastructure. So much hate is being spewed out daily in the name of “Country/Congau” divide. The spewers cannot tell that they are the very ones being fleeced by these propagators of the hate gospel. Hate has done absolutely nothing for Liberia. My friend, if you care one ounce about your Liberian heritage, you must work towards eliminating hatred in whatever way you can. Hate must be rejected in the Republic of Liberia. Ms. Hortense D. Grimes, a servant of the living God, was called and anointed by Jesus Christ and sent to establish a global spiritual motivation ministry. Do It For Christ Ministries—helping hurting people help themselves—proclaiming the Word of God and encouraging spiritual rehabilitation in Jesus Christ. IF YOU can … Take a Three-Day fast from today Wednesday through Good Friday. Here are several options. If you cannot do daytime, try nighttime fasting. My friend, it is known that PRAYER moves the Hand of God. I always go further and say Fasting lifts His arms. There are some things in your life that will not budge until you pray it away and out of your space. A real sacrifice must cost you something. It must discomfort you in some way. The sacrifice of The Cross costs God everything. In return mankind received everything. Everything!!! Some things will not budge out of your space until YOU PRAY it away. Until YOU PRAY and YOU FAST it away. With God every little effort is noticed, and it counts towards you favorably. Our patriarch of the faith Father Abraham trusted God and it was accounted to him for righteousness. TRUST the Lord enough to fast for Jesus. I love you, my friend, with a sisterly love. Happy Solemn Wednesday of Holy Week. The Last words spoken by Jesus Christ as our Lord hung on the Cross at Calvary. 6th (Sixth) Word of the Cross. What YOU can do today. Recognize you are a sinner and need for Jesus to cleanse your life. Bow your head in acknowledgement of God's plan for your salvation. Pray to Almighty God in the name of Jesus Christ: Accept that Jesus is the son of God. Believe that Christ came and died for your sins. Confess your need for a savior. Ask Jesus Christ to come into your life and become your Lord and Savior. Get a Holy Bible. Begin a relationship with Jesus Christ, buttressed by prayer and guidance by the Holy Spirit. Live your life for the Glory of Almighty God. Do It For Christ.